Pic by Robin BrownIt’s called the Yellow Thing and it’s built using Discovery 1 mechanicals and a uniquely fabricated body of monocoque construction; the shell and roll cage are made from 3CR12 stainless steel, the doors and bonnet from aluminium and the fenders from fibreglass. 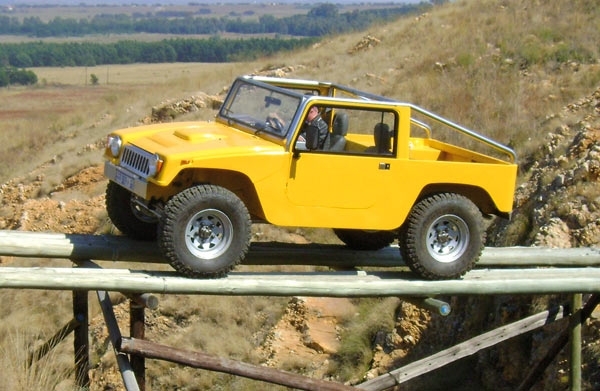 Robin Brown is the man behind this creation and it’s seen here at the Rhino Park near Pretoria. Pic by Richard WhiteheadThis diesel Hilux 4×4 is the one with the auto box. It belongs to Richard Whitehead of Benoni who reports that it offers a great combination of power and ability. 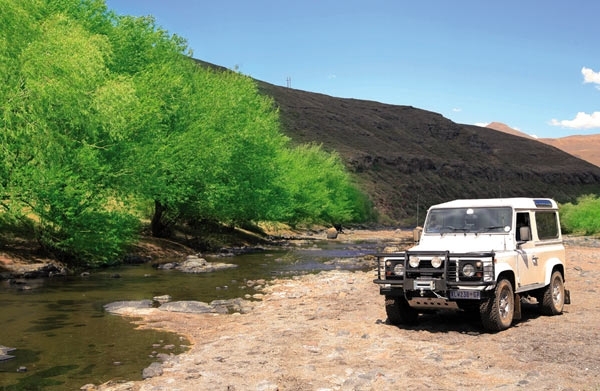 It’s seen here at De Hoop campsite in the Richtersveld on Christmas Day last year. 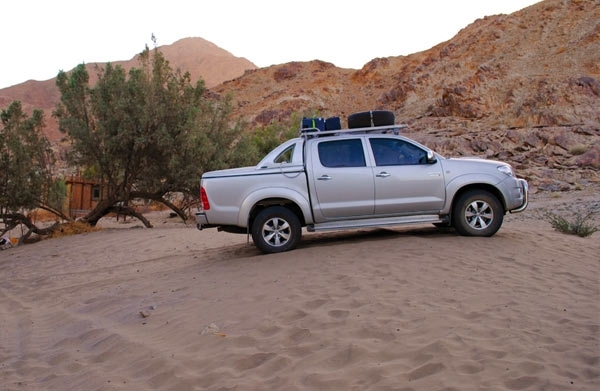 Although still new (it was bought in June 2009), it’s already well travelled, having been to the Tuli Block, Lesotho and Sani Pass, Richtersveld and southern Namibia. Pic by Peter BreitensteinNow this is an interesting vehicle. 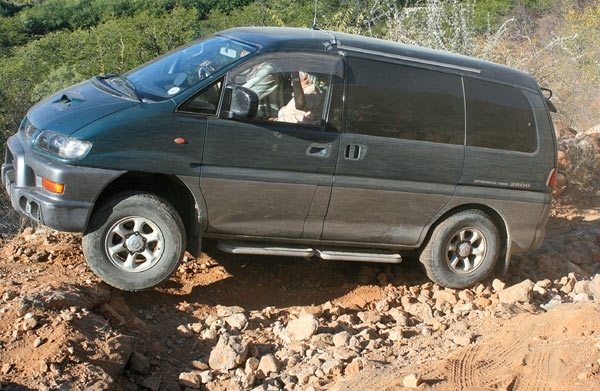 This pic was sent to us by Peter Breitenstein of Namibia who says that this Mitsubishi Delica is basically a Pajero but with a different body; It has Super Select 4WD and low-range, and is powered by the 2800 turbo-diesel with intercooler. 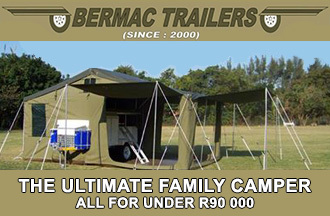 He says that with the rear seats removed, this 8-seater becomes a great camping vehicle. Here it’s seen tackling a stretch of rough trail between Ruacana and the Epupa Falls. Pic by Pieter van der WaltTsjoe, those trees look almost neon green when seen against the backdrop of a sparsely vegetated Lesotho. 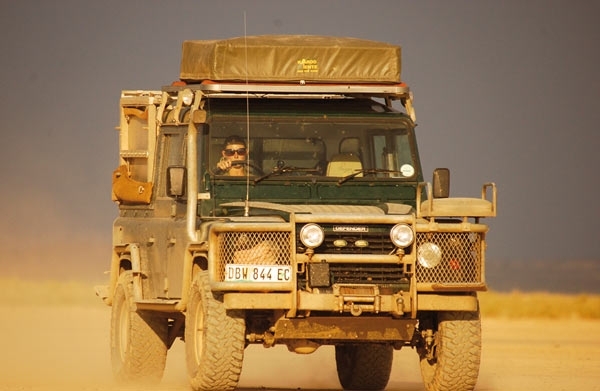 It’s Pieter van der Walt’s Defender 90 that we see here, parked in a riverbed in the northern region late last year. 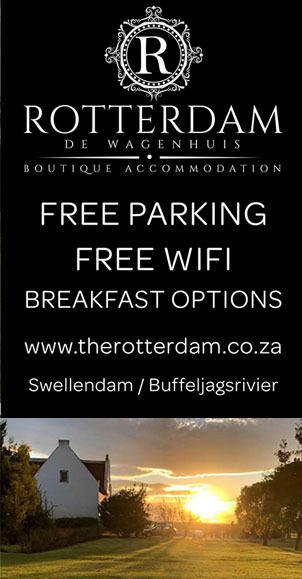 Pieter is planning to return when there’s snow on the ground.